If you’re like most people, your garage has become a haven for stockpiling various items from tools and lawn care equipment to holiday decorations. A garage clean up can sound like a daunting task. Things can get pretty hectic in the garage and you could lose the ability to fully utilize the space. The main purpose of a garage is to store your car, but a lot of us have kissed that option goodbye due to built-up clutter. These tips and tricks can help you regain control of your garage so you can use it for its intended purpose or so you can use the space for something else you have in mind. First and foremost, you’re going to have to dedicate a day, or a weekend, to thoroughly clean out your garage. You must go through absolutely everything and determine whether it’s junk or something to sell, donate or keep. Everything must be accounted for so you know what you’re going to be working with when you’re ready to reorganize. Only then will you be able to start implementing a solid organization plan. Once you’ve cleaned everything out and sorted your belongings into junk, donate/sell and keep categories, the next step is to figure out what you’re going to do with the items you’re not keeping. Store everything you’re keeping in the garage for now, and plan a garage sale or find somewhere to donate all your unwanted belongings. 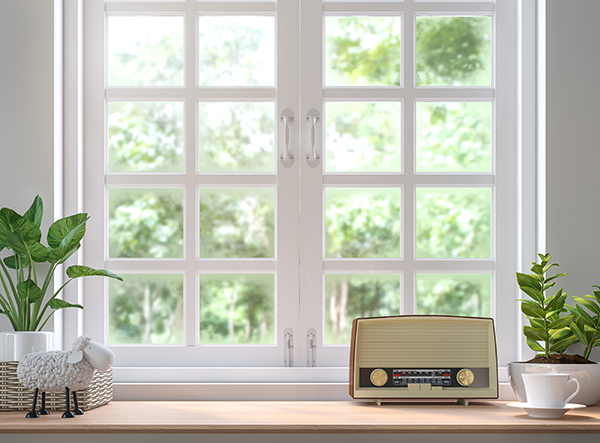 The garage may seem like a great place to store everything, but some items are better kept out of it. One way to make your garage clean up go by quicker is to lessen the amount of things you store in there. Paint can get ruined by extreme heat or cold so try finding room in the comfort of your home for paint cans. Gas grills are now more popular than traditional charcoal, so more people have propane at their homes. It only takes a tiny spark to ignite any propane fumes, so it’s best to keep your tanks outside. If you have pets, you might be storing those bulky bags of food in the garage. Raccoons, opossums and other critters can easily sniff those goods out so it’s better to keep the pet food inside using a plastic container. Keep as much of your goods off the ground in the garage as possible. The amount of space you’ll free up will be very rewarding. This way, your next garage clean up will be as easy as a simple sweep of the floors. By keeping the floor neat and tidy, you won’t have to rummage through any piles that tend to accumulate in the garage. Also, if you park your car in the garage you no longer have to worry about running anything over. Of course, some items have no other place to be than the ground such as lawnmowers and any other heavy equipment. 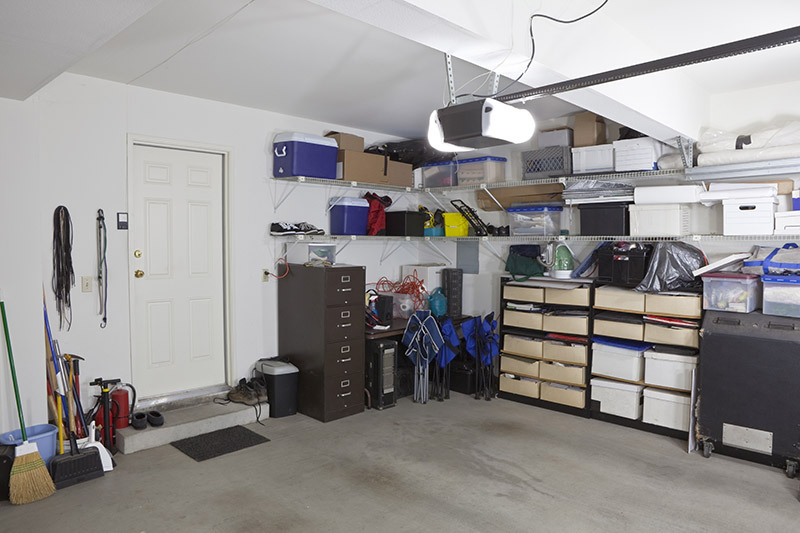 Designate an area in your garage for these items to be placed so it can stay nice and tidy. Your garage walls offer excellent organizational abilities. 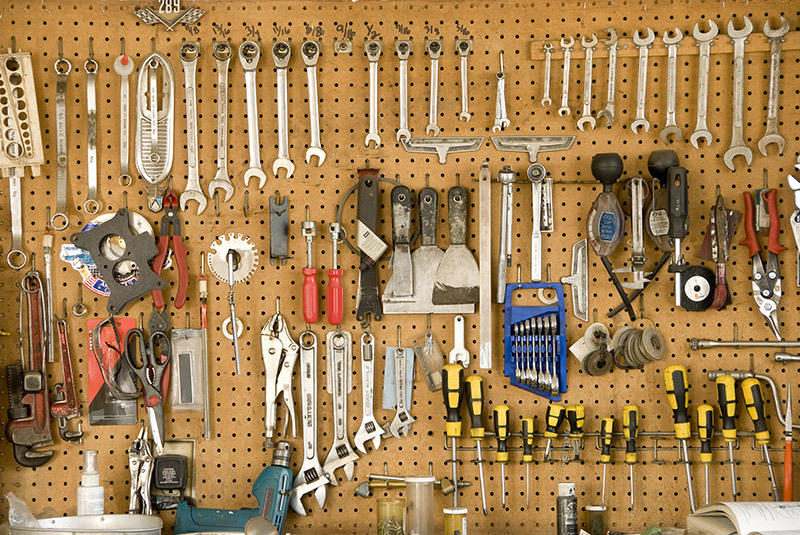 One of the most common and easiest ways to keep your garage organized is to get a pegboard. They’re inexpensive and can be cut, painted and have different hanging options such as shelving and hooks. Pegboards can’t hold everything on them, so for your heavier belongings you can install track-based or panelized shelving units. You can relocate shelves and hooks easily along the tracks or panels. If you don’t want cabinets, open shelves are the way to go. You can access everything easier and see where everything is at all times. Cabinets can add to the clutter problem as you don’t have to see inside them all the time and can just throw things in them. Open shelves allow you to notice when things start to get out of hand and you can quickly resolve the problem. Need More Storage Space? Look Up! The garage ceiling is a great place to add to your organization system. Use this space wisely for items such as ladders, seasonal equipment and holiday decorations that seldom get used. Make sure your ceiling storage arrangement is well constructed and won’t collapse or interfere with your garage door or vehicle. Overhead storage makes for an easy garage clean up. Your garage is a large space that shouldn’t go wasted by throwing anything and everything all over the place. Designating time to conduct a thorough garage clean up will pay dividends to you as a homeowner. 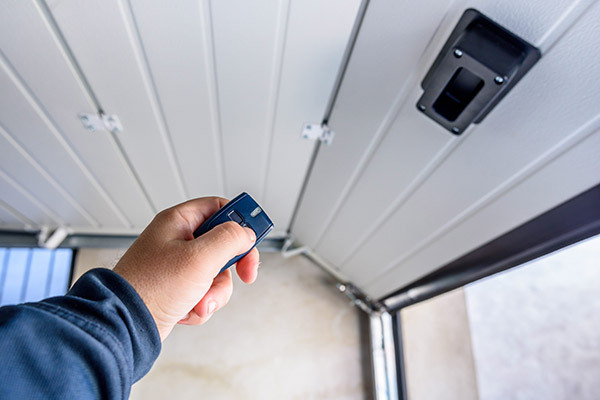 Chances are that you may find out you need a new garage door after organizing everything and can now use your garage more often. In that case, you can count on Feldco for the best garage doors in Madison. 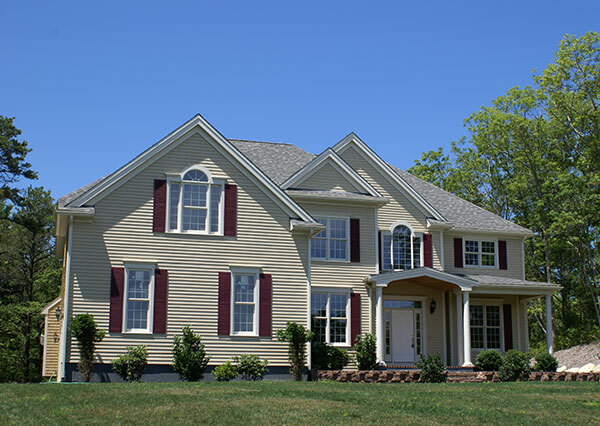 Our product specialists will take excellent care of you from your free quote to the last day of installation.